My roommate surprised me one night with this and a France mug. One of our neighbors went to Paris so he manage to ask him to bring this back for me. When we have our annual block party, I love to meet the messenger of these 2 mugs! I made it to Paris!! The city is beautiful and the food is amazing. We had so much fun there and we even rent bikes to rode in the city. It was not as dirty as others have said it was. They must have cleaned up some. We were lucky that we missed the flood a week before. It was just meant for me to enjoy my first trip to Europe. I was in Paris recently and kept meaning to buy a Starbucks mug and never wanted to carry it around. I have one from Copenhagen. Do Starbucks sell these mugs online? Unfortunately, these city mugs aren’t available online but once in a while, we will get lucky and they do sell them from some cities but I have never seen Paris on sale at the Starbucks store online. Do they sell them at the Starbucks stores in Paris? Going there, so just wondering. Jill, yes, they have them in the stores in Paris. 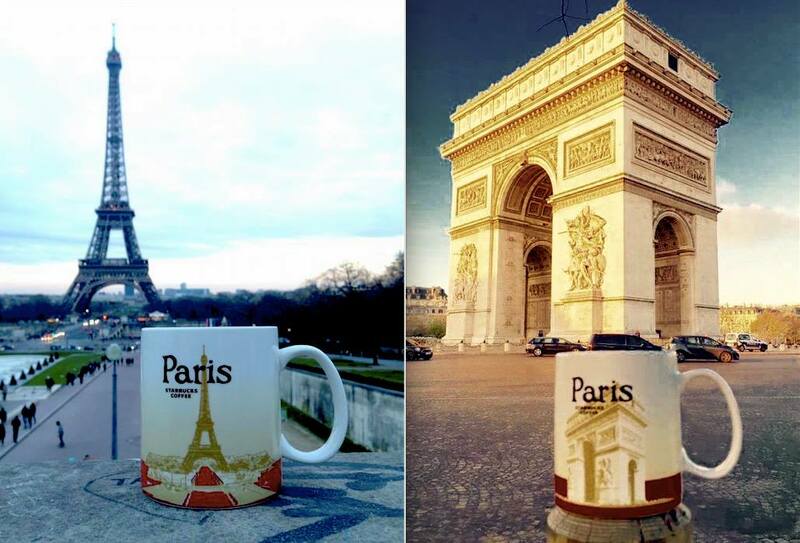 They should have France and Paris mugs in Paris. Have a wonderful trip. How much are the Paris city mugs? Yes they do, I was just in Paris last week and got my mug along with Amsterdam, Netherlands, and London! Jill, enjoy your time in Paris. My gf and I are less than 2 weeks from our Europe trip, and Paris is on our list to add to our ever growing collection! How much are these city mugs in Paris for the Paris mugs? Seems that “Paris 1” is becoming very expensive… Saw one selling for approx. 200€uros on Amazon…. It looks like they are since the YAH series already came out.